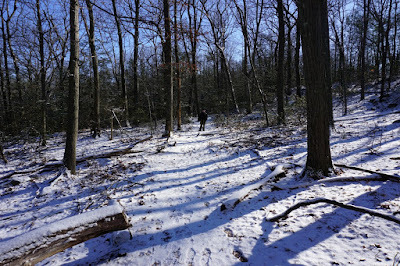 The previous day had a small snowstorm, leaving about two inches of snow on the ground. 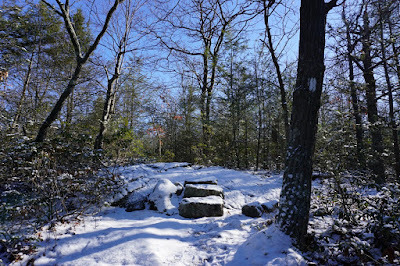 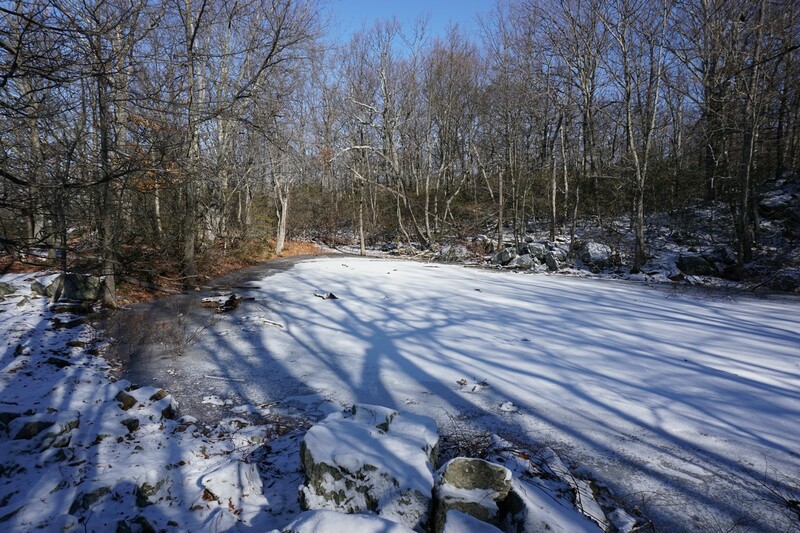 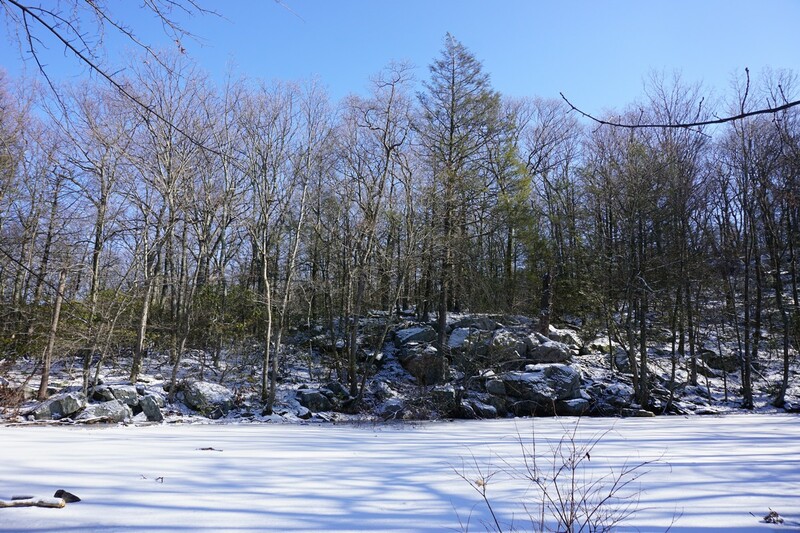 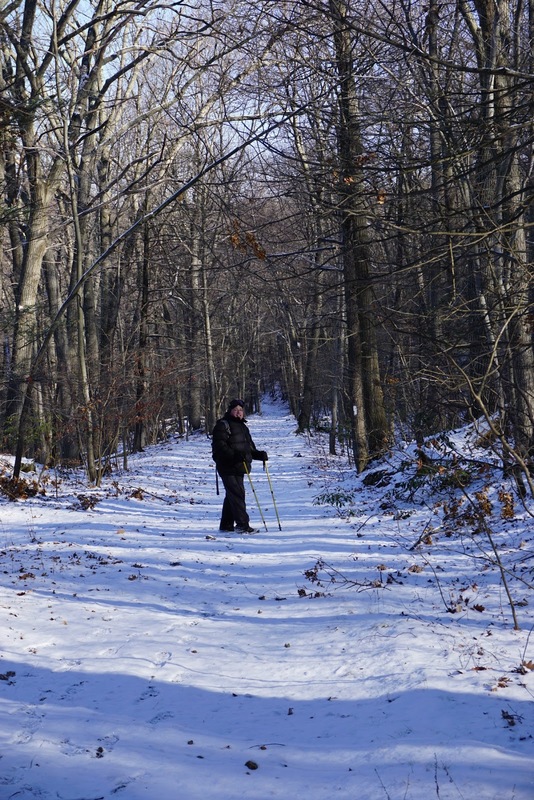 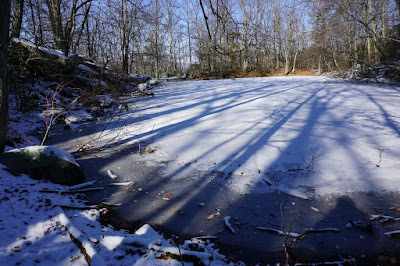 While not much snow, it was enough to change the scenery to a more seasonal winter-like setting. We did a two car hike to maximize the length and coverage of the hike. 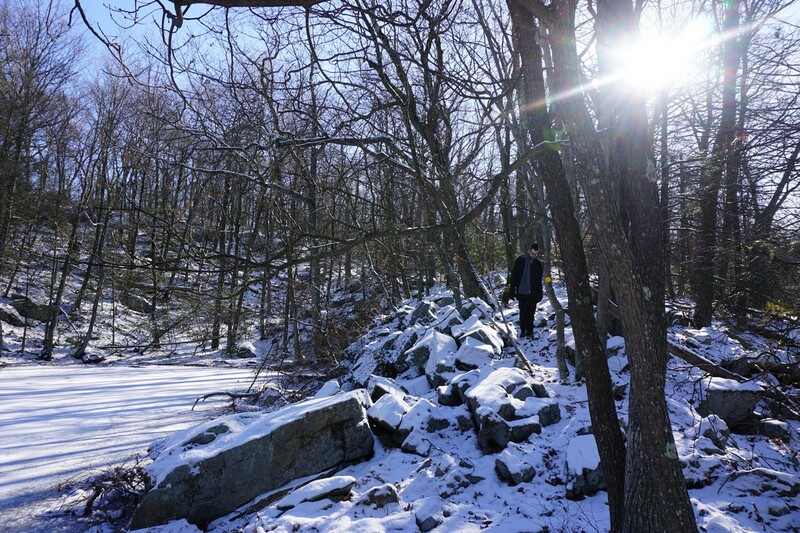 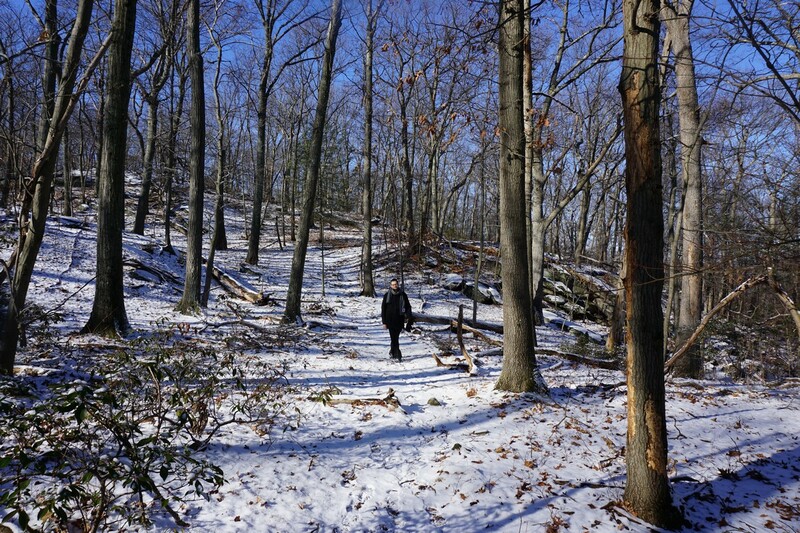 We first parked one car at Manitgoa Nature Preserve, and then drove back down Route 9D to Anthony's Nose where the Appalachian Trail climbs the mountain, right past the Bear Mountain. 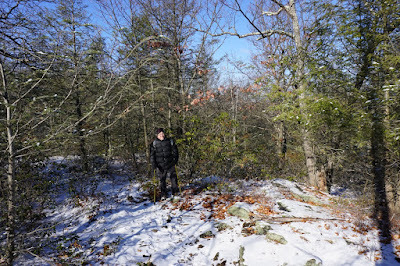 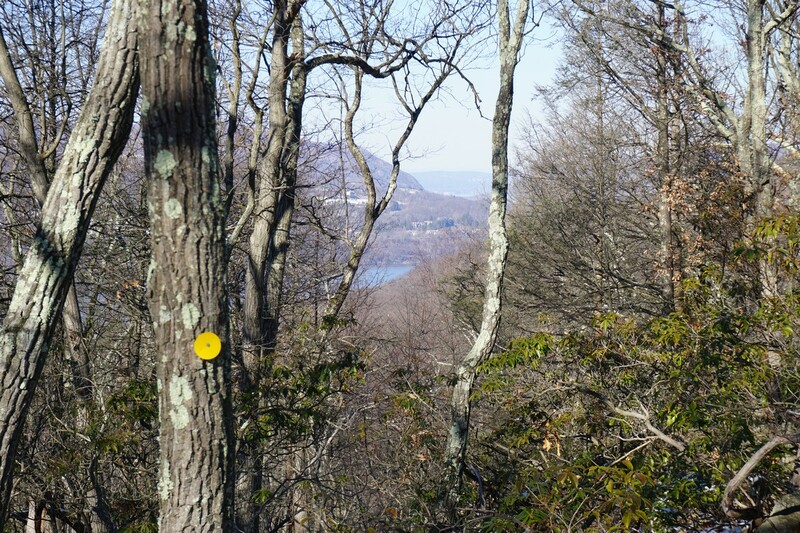 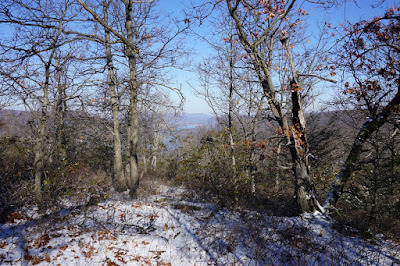 We climbed up the northern flank of Anthony's Nose on the Appalachian Trail, continued along the ridge. 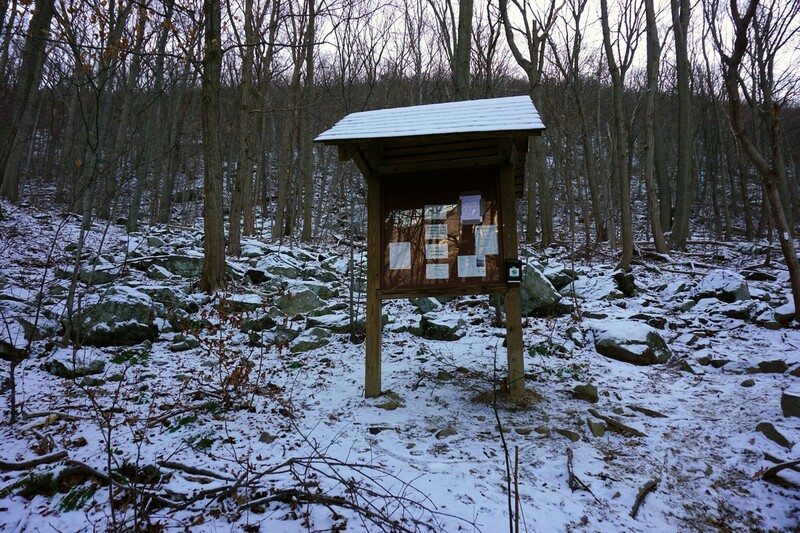 There is a view marked on the map, but it seemed overgrown. 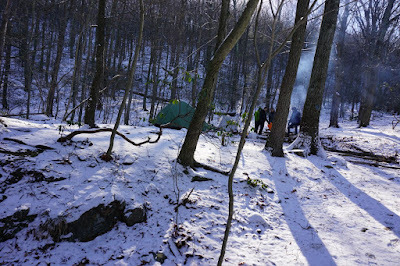 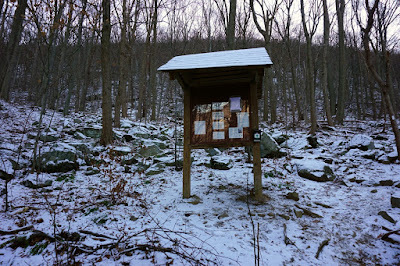 We continued past the Hemlock Springs Campsite, where we met some people camping out overnight. We then crossed South Mountain Pass road, and climbed up Canada Hill, again where the view on the map was not really there. 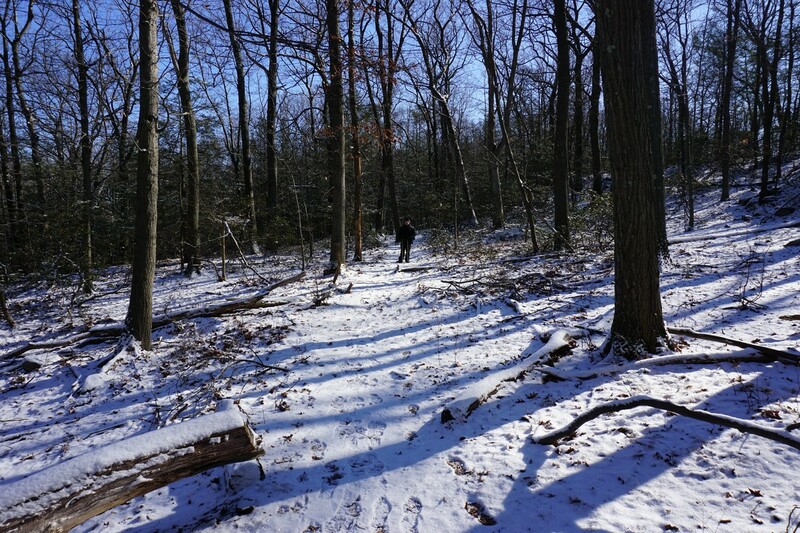 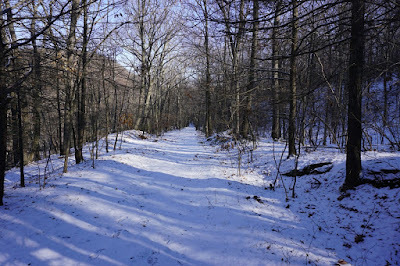 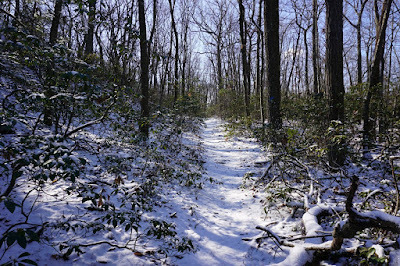 This part of the trail going up actually lacked snow, being in the direction the sun. 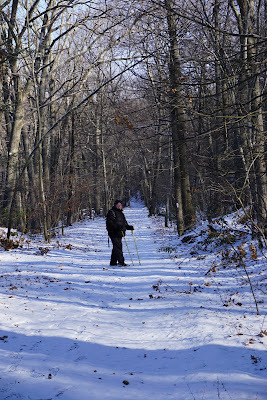 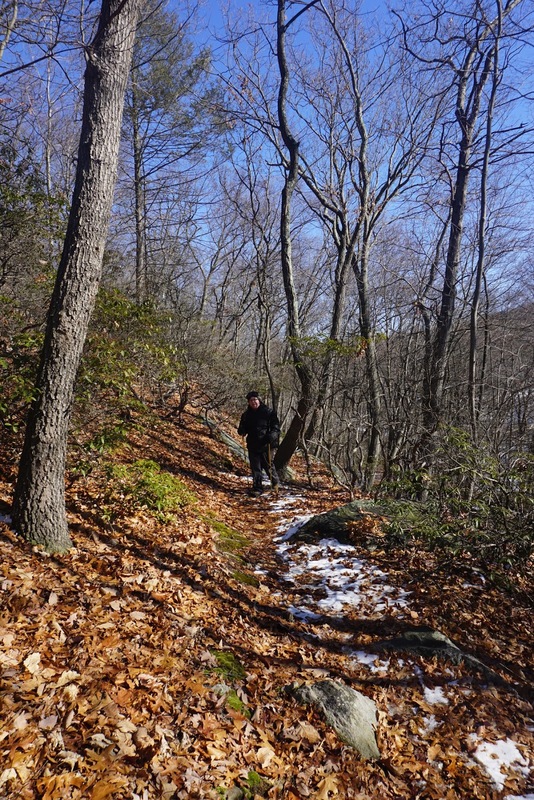 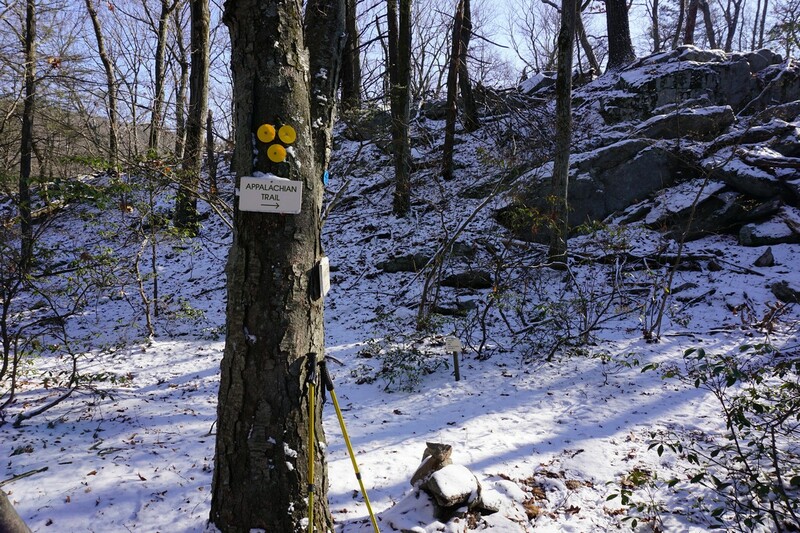 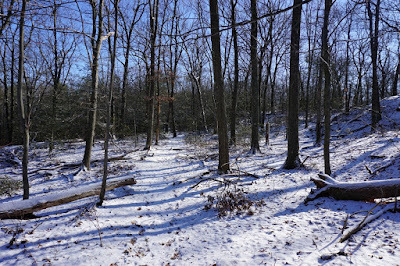 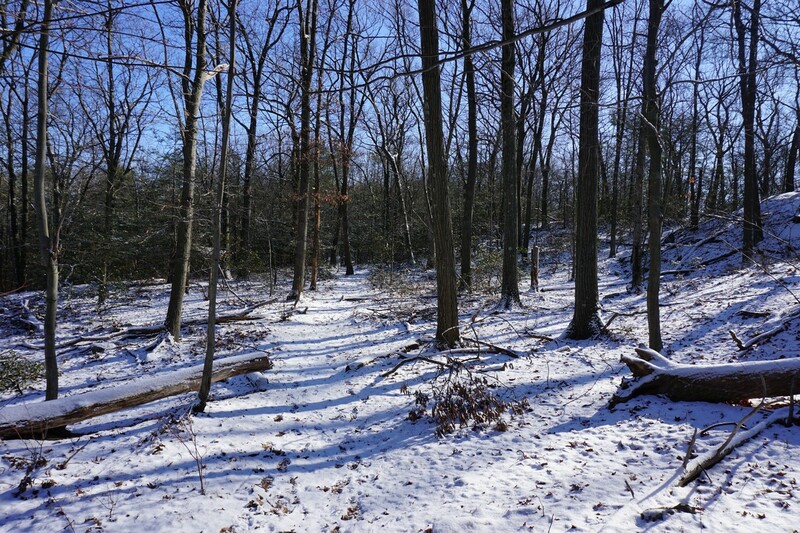 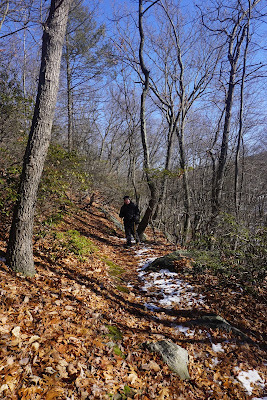 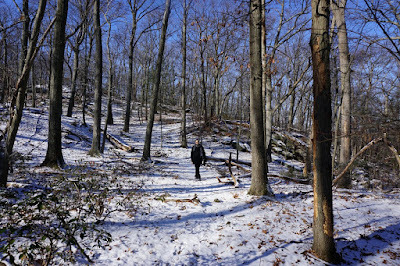 We continued along the Appalachian Trail until the Osborn Trail, and took the Osborn Trail to the Lost Pond Loop Trail, at the intersection area of the Manitoga Nature Preserve. 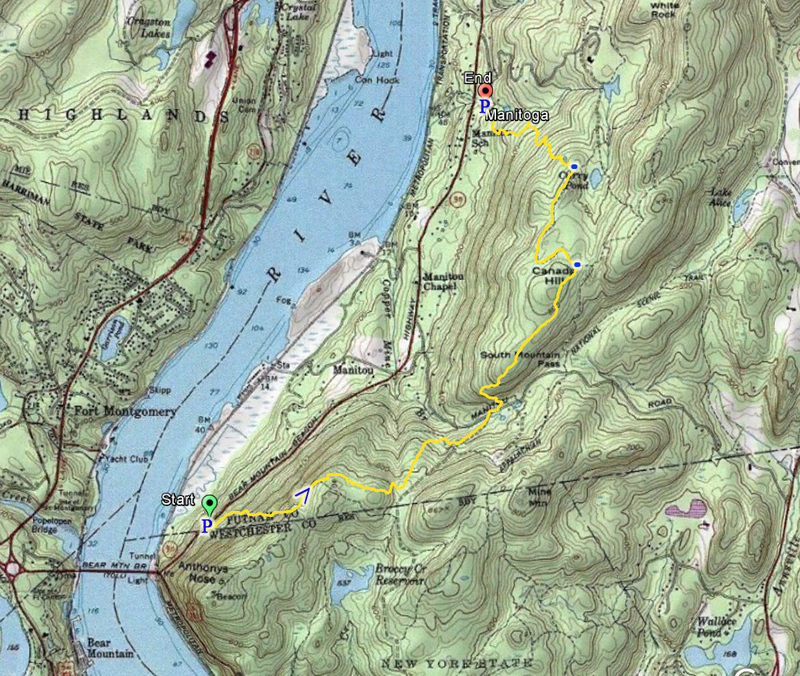 My 2000 edition of the East Hudson Trail map is quite outdated, as none of the new Manitoga Trails are listed on my map. 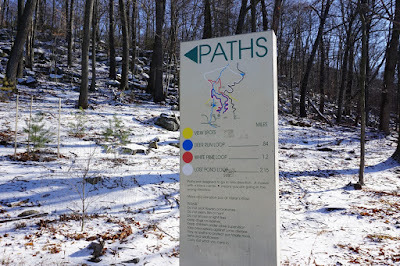 We followed the general direction of the trail listed on the map going down the mountain, which ended up being the Lost Pond Loop Trail, which we took to the entrance of the nature center.